What does "trapping my opponent's meeples" actually mean? The act of "trapping" an opposing meeple refers to the practise of ensuring that the meeple will never be returned to its owner by placing a tile such that the feature to which it has been used to claim will never be completed (either because the tile required to do so doesn't exist or has already been placed elsewhere). This is particularly useful when the trapped meeple is a knight as this also ensures that the city will be scored at one point per tile/ pennant rather than the two points it would be worth if the city to which it belonged were to be completed. How do I trap my opponent's meeples? Trapping opposing meeples involves making "holes" in the emerging landscape that a) border a feature occupied by an opposing meeple and b) can never be filled. In order to succeed at this, you need to understand what combinations of features can be used to make such holes, and then work towards creating the hole before your opponent draws the tile required to fill it while this is still a possibility. Here are some common combinations of features that don't exist within the basic game. 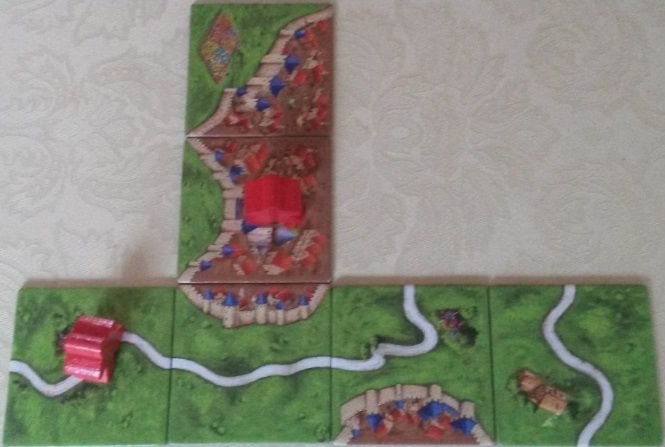 It may take two or three tile placements to trap an opposing meeple depending on the placement of the tile offering the feature claimed by the meeple you wish to trap. This is often what makes deciding whether it's worth trapping an opponent's meeple so difficult as there will almost always be an alternative use for the tile you need to set the trap. This means that your potential scoring capacity will probably be reduced, albeit only negligibly in most cases, but in others you may actually end up giving points away to your opponent in order to trap their meeple. So judge carefully but commit yourself to it if you decide to do go ahead. 1. Red appears to be off to a good start. Or is he? The city and the road form the first two sides of where our intended "hole" will be. 2. This purpose of this placement isn't immediately obvious. Nevertheless, it is required in order to surround where we want the hole to be, as will be revealed. 3. The t-junction is used here to make the third side of the "hole" a field. If it had been oriented in any other way, the third side of the "hole" would have been a road which would have made the hole considerably easier to fill. 4. This is the final nail in the coffin for red. Whilst the tile could have been oriented with either the city or a field facing into the hole, pointing the city towards the hole means that the city is uncompleteable and unextendable (neither of which are words). In the example above, Red now has two meeples trapped. The knight is worth five points (two of which were a gift from you) while the thief is worth three points. Don't forget that although neither meeple will be returned to its owner, the value of the thief can still be extended until his road has been closed or blocked at the other end too. Why should I trap my opponent's meeples? Most importantly, because it reduces your opponent's scoring potential since he has less meeples left with which to claim emerging features. This causes him to be more cautious about placing meeples (assuming he has any left) and often results in certain features being left unclaimed. With a meeple in hand, these features can then be used to generate more points for yourself. Furthermore, this means that if you and your opponent are competing for control of a game-deciding feature, you stand a better chance of out-competing your opponent if he has one meeple less than you. This advantage can be critical if you're both trying to win the same farm for example. When should I trap my opponent's meeples? If possible, look to trap opposing meeples early in the game as this will have the biggest impact on your opponent's scoring potential. The more of the game they spend with fewer meeples available, the more of a chance you'll have to build up a winning lead over them. 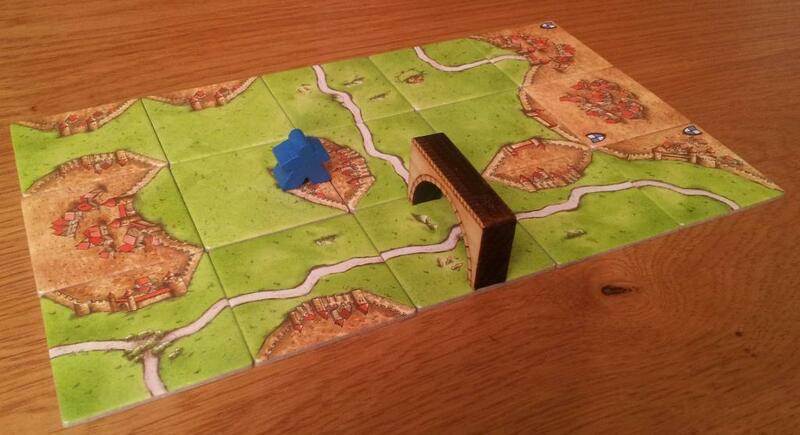 If you can trap two or more meeples with the same missing tile then look to do this as quickly as possible. Good opportunities to do this are if your opponent places two or more monks adjacent to each other, or if you can direct a road claimed by your opponent into a city claimed by your opponent such that neither can be completed. How can I reduce the possibility of my opponent trapping my meeples? Monks are very vulnerable to being trapped so think carefully before you claim any cloisters you may draw and make sure that any tiles required to complete them are relatively common (and available – the rrff tile is the most common in the basic set but if all nine of these have been placed it is no longer common in your game!) Be especially careful if you intend to place a cloister directly adjacent to another of your own cloisters (unless either is completed in doing so) as you are painting a bulls eye on yourself if you do! Traps usually have to be set up (unless you play directly into one) so keep a close eye on every move that your opponent makes and ask yourself why they've made it. 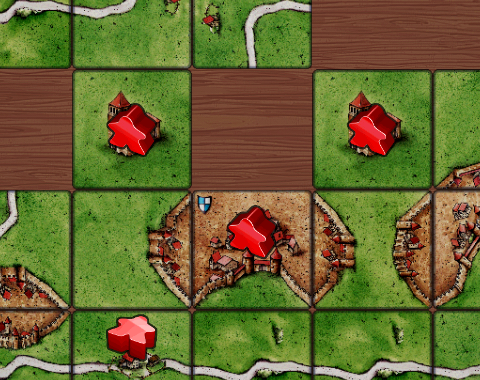 Be particularly suspicious of any tile placed that doesn't either generate points for your opponent and/or win them back a meeple. If you do spot an opportunity for your opponent to trap one or more of your meeples then the chances are that it hasn't come about by accident. Make it your priority to thwart this by placing a tile such that the hole created can be filled by a tile that remains to be played. Obviously you'll need to do this before your opponent completes their trapping of your meeple by ensuring that the hole can't be filled! Trapped meeples are rarely worthless and will therefore contribute towards your opponent's final score. So whilst merely trapping an opposing meeple in an uncompletable feature is a good start, the value of that trapped meeple can still be increased up until the point that any open sides of the feature claimed have been closed off (i.e. that it can no longer be extended). Sometimes you may trap a meeple of your own in the process of trapping one or more opposing meeples. 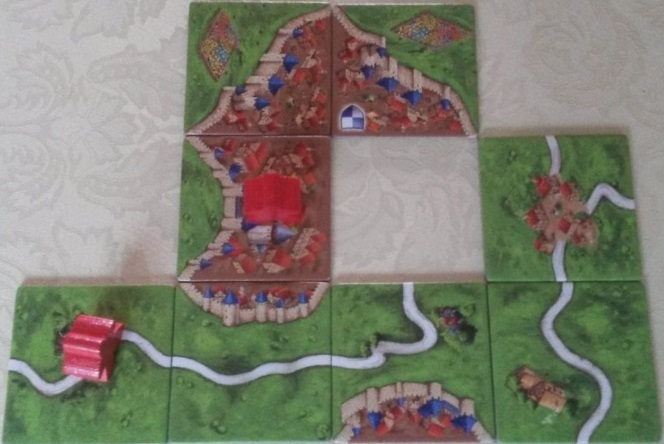 For example, if your opponent is attacking a city that belongs to you and you can thwart this by trapping the attacking meeple on the adjacent city tile then it's likely that your city will never be completed. However, your own trapped meeple will be worth more than the opposing trapped meeple and consequently represents an advantage to you. This advantage may still be extended by continuing to extend your city if no better placement opportunities exist for subsequent tiles. Trapping your opponent's meeples is often an effective strategy even if the trap you've placed isn't guaranteed to be permanent. The "rrrr" (crossroads) tile and the "cccc" (4-sided city) tile are rare in the basic game as there is only one instance of each. If you can set a trap such that your opponent depends on getting one of these as yet unplaced tiles in order to complete a particular feature or win control of a feature of yours, they have a 50/50 chance of drawing it. Even if they do eventually draw it and elude your trap on this occasion, any delay or inconvenience you've caused them in the process still represents an advantage to you up until that point. Open for feedback guys! Come on, don't be shy! Perhaps a quick sentence or two (or footnote?) on why monks are so vulnerable to being trapped? 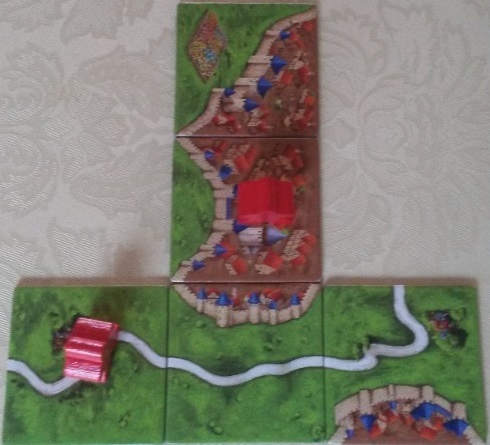 How about addressing the situation where you have a chance to trap two of your opponent's meeples but in the process would also trap one of your own (common when fighting for a larger city, but can occur in other situations)? I usually do this as I figure the net benefit is in my favor. Discussing expansions would obviously bloat this considerably, but two basic-but-important tiles. Inns & Cathedrals - Where you mention a trapped meeple will still score, if there's a inn or cathedral involved (often by yourself following the trap ) they will render a trapped meeple worthless. I think another point here that Dan danced around a bit without explicitly stating (I don't think) in his example was that in general it's good to avoid a situation where you are dependent on one tile to complete multiple features. This is what happened to red in the example and it resulted in multiple meeples being trapped. Hi Durbs, welcome to the forums! Both good points. I did give some thought to your first point at the time and didn't elaborate on this as my purpose was to cover just the basic game really. The whole area of trapping meeples becomes much less important when you start throwing in expansions, especially those that allow you to return a meeple in some way (Princess & Dragon, Tower, Festival, Corn Circles, Plague etc) although it's still a good tactic for slowing your opponent down if a good opportunity presents itself. 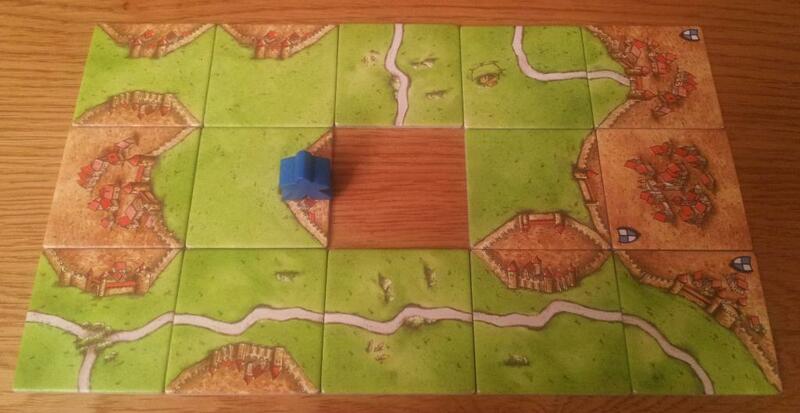 Abbeys do tend to ruin things when it comes to trapping your opponent's meeples! The only thing you can do to prevent them from being rescued using an Abbey is to attempt to block at least one of the spaces orthogonally adjacent to where your opponent needs to play their Abbey in order to prevent them from playing it. This is more effort than it's worth in most cases, but it's worth thinking about. Obviously it depends when the tiles are played. 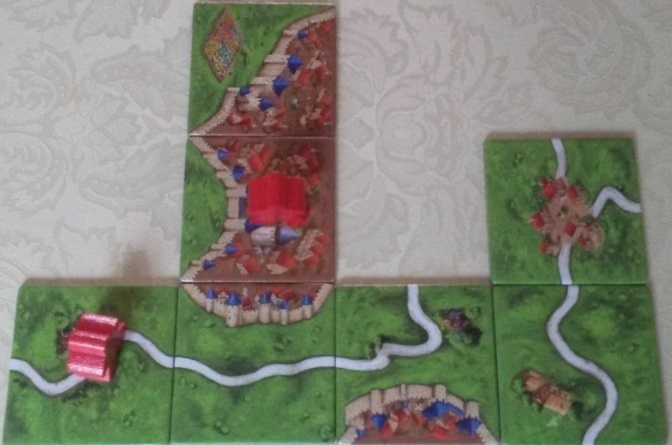 In the first half of a basic 72-tile game I would almost always be very happy to give 2 points away if it a) traps my opponents meeple and b) ensures that their city remains closed. If it was the last tile or two of the game then I probably wouldn't bother. 4. This is the final nail in the coffin for red. Whilst the tile could have been oriented with either the city or a field facing into the hole, and would trap the meeples in both cases, pointing the city towards the hole also means that the city is unextendable (not being a word).